Moderate to heavy showers accompanied with gusty winds, thunder and lightning, that lashed parts of city yesterday evening brought down trees and electric poles disrupting vehicular movement near Chikkamanikethana Kalyana Mantap in Kuvempunagar, Sharadadevinagar, road leading to Srirampura 2nd Stage from Vivekananda Circle, Kukkarahalli Lake Road and other parts of city. Three trees, which were uprooted on Kukkarahalli Lake Road fell on the road disrupting traffic on the busy road. 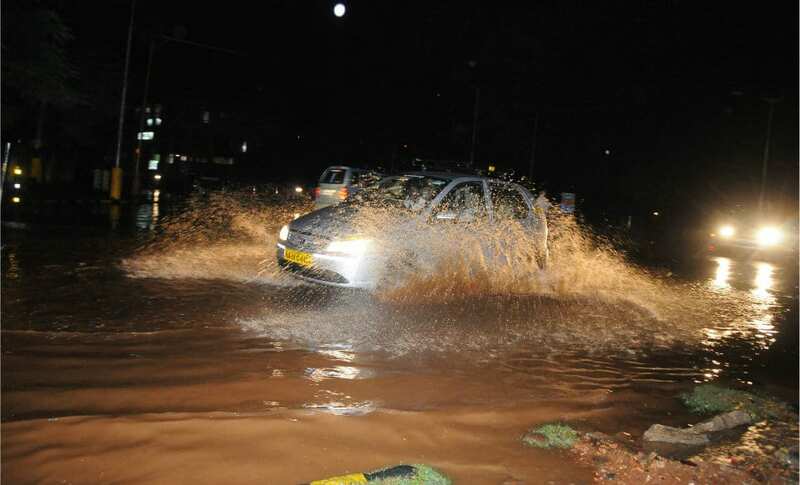 Motorists were seen taking alternative roads to reach their destinations. 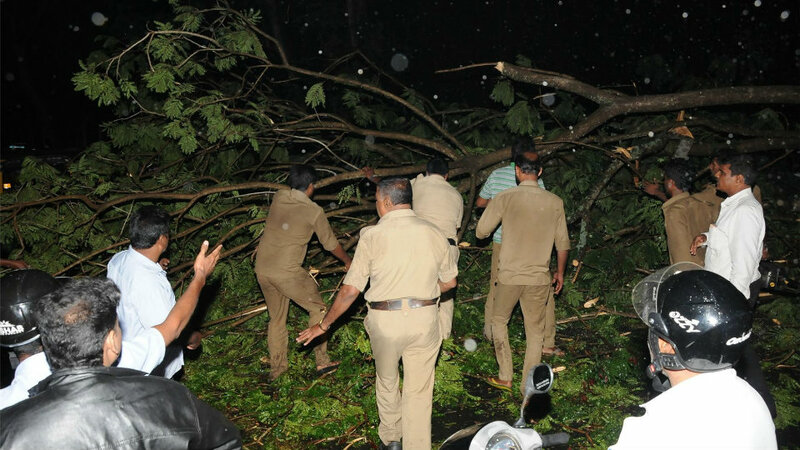 Fire and Emergency Services personnel along with Police personnel, MCC staff and the public, had to cut down the fallen trees and move them aside to make way for smooth flow of traffic. 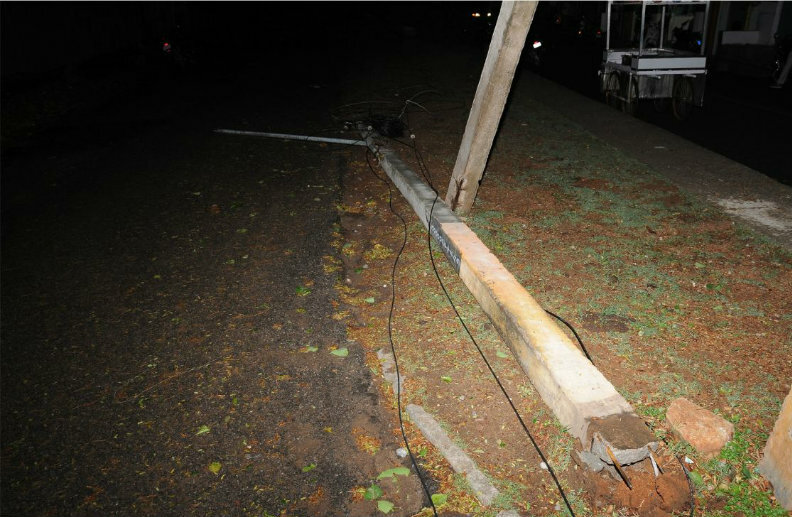 Some trees, which fell on electric-poles, snapped the wires thereby plunging the areas into darkness. CESC authorities immediately cut down the power supply, preventing possible fatalities. Rain water also gushed into houses in low-lying areas and the residents had a horrifying time removing water from their houses. Phone lines go dead: The DC Control Room number (Ph: 0821-2423800, Tollfree Number: 1077) and the MCC Control Room Number (0821-2440890), which are supposed to work 24×7 to provide information to the public have become defunct causing a lot of inconvenience to the public who tried calling the numbers. 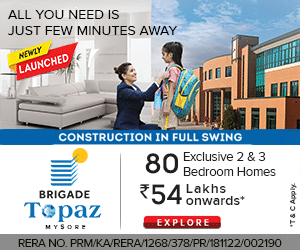 Meanwhile, Deputy Commissioner D. Randeep said that he would hold a meeting with the officials concerned today (Apr. 18) about the DC and MCC Control Room Numbers, which were established for the benefit of the public during emergency which have gone dead.